Not all blenders you see around have the capacity to crush ice and frozen fruit efficiently. In fact, you need to be meticulous when it comes to selecting one. And in this buyers guide, you’ll be able to understand some of the fundamental aspects to look into when seeking a best ice blender for your needs. So that next time you find yourself in such a situation, it becomes easy to select one that offers the best ice and frozen foods crushing efficiency. Apparently, blending these types of food ingredients can be an easy or challenging, frustrating or enjoyable task depending on the quality of the machine you’re using. It’s more unlikely that you would want to get yourself in a situation where you instead get a blender that fails to crush your frozen fruits and thus leaving you with a lumpy or grainy solution or even worse you burnt out your blender. So what’s the ideal solution in this case? The simplest way is just going for a high-quality blender that is capable of blending all types of these frozen foods. For example this Blendtec Designer 625 that guarantee can be your best blender for crushing ice or your frozen foods. The market currently constitutes a variety of heavy duty models of a blender to make frozen drinks. They provide best quality smoothies from frozen fruits and vegetables with relative ease. Perhaps you could be worried that high-quality blending machines for crushing ice would be comparatively expensive. It is not always the case. All you need to do is to identify the best manufacturer and buy from them. Again, expensive is relative. The most certain thing nonetheless, is that even if a quality blender that crushes ice is pricey, you’re guaranteed of getting value for your money. This is arguably one of the best blenders that crush ice and frozen ingredients. It’s manufactured by Blendtec and offers some of the best ice crushing and blending features that you can ever find in such a blender. Quite expectedly, this unit comes with a 3-peak horsepower drive motor of 1560 watts. Of course for powerful blender of its caliber, it has to be powerful for efficiency. This unit also comes with preprogrammed blending cycles, digital touch-pads controls and auto-shut off. Now this is amazing because you’ll find it reasonably easy to operate it during blending. The blender is so powerful that it has 2 prong blades made of stainless steel and spins up to 29,000 RPMs and crushes even the hardest of ingredients. The design is also appealing, sleek, modern and sizeable enough to nicely fit into most of the kitchen countertops. What’s more is that it comes with patented BPA plastic jar with a volume of 2 quartz with a nice secure lid that fits tightly to prevent loose connection and enhance proper blending. The jar is lightweight, easy to pour and get ingredients out, easy to wash and comes with handy measurements so you can put the desirable amount of ingredients. 8 year warranty/American Company: Family-owned and driven to build the best quality products - without compromise. Engineered and assembled in the USA. Vitamix 750 Pro series is my favorite blender for smoothies. It never fails to help me to make any smoothies, including when I put ice cubes or frozen fruits as ingredients. Since its introduction 5 years ago, this Vitamix blender has continued to be extremely popular among many people. One of its outstanding features is the 5-pre-programmed settings which automatically handle different types of food ingredients for smoothies, purees, and deserts among others and also cleans itself. So you won’t worry of cleaning it after you’re done with your blending needs. With just a drop of dish soap and warm water, this unit cleans itself in less than a minute. It also comes with a commercial-grade 2.2 peak horsepower motor and 4 blades made of hardened stainless steel which can blend any kind of ingredient regardless of texture. The low-profile 64-ounce container is suitable for family meals, appeals to the eye and fits comfortably in most of the kitchen cabinets. The blades are strong owing to the stainless steel material, to properly blend ice and frozen ingredients. It also has a 2-santoprene rubber lid as well as a detachable plug so that you can add ingredients while still blending. Nonetheless, the jar is BPA free PVC plastic in a stainless steel housing hence giving it ideal protection from breaking. Also, the motor base is comparatively stable which is important since it provides the necessary stability especially when blending in high speeds. This is a magnificent blender from Oster ideal for crushing ice cubes and other frozen food ingredients. It features a low-profile jar which is essential when it comes to storage under the kitchen cabinets. The 64-ounce jar also allows you to make enough smoothie, soup or puree for the entire family in one sitting. 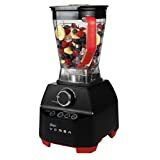 This blender features a powerful 1,400 watt motor and stainless steel blade that spins at approximately 28,000 RPMs or 250 mph as it thoroughly squash and blend even the hardest ingredients. The 3-pre-programmed settings which include smoothies, Dips/spreads and soup as well as the variable speed dial helps in quicker adjustment of suitable speed to meet the specific blending needs. It is also easy to clean and you only need warm water and a few drops of dish soap then switch the blades on for about a minute you will be done with cleaning it. What’s amazing is the whooping 7 year manufacturer warranty that it comes with given that the price is reasonably affordable for an ice crushing blender of this caliber. The quality of engineering on this Oster blender is top notch with a sturdy motor base that provides necessary stability when blending. This is one of the most affordable units that offers high efficiency in blending ice and frozen fruits from Oster. In fact, price notwithstanding, this unit matches performance of some of the of top notch brands in the market. 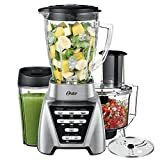 It provides you with ability to use food processor and blender interchangeably powered by its powerful 1200 watt motor which allows you to easily make anything you want from purees, deserts and soups. What’s more is that it also features smart settings technology with 7-speeds, which include 3-preprogrammed settings for one touch salsa, smoothies and milkshakes with pulse button for enhanced control and precision. Another magnificent feature of this blender is its dual-direction blade technology which enables it to blend in forward and reverse. It enables the ingredients to easily flow down the blade to produce better results. The blade made of stainless steel is also strong and relatively large than its previous versions. It comes with 6-cup patented Boroclass glass jar which is dishwasher safe for easy cleaning. Moreover, it contains a pulse feature which helps in additional control and precision. This unit also comes with 5-cup BPA free bowls for food processing and a stainless steel slicing disk as well as a chopping blade. It is arguably one of the smallest but powerful blender specifically designed for people on the go like busy professionals and students who will always want to fix and drink their smoothies as quick as possible. This personal blender has a powerful 1000-watts motor with an auto shut off feature which stops the motor when it overheats. And the AutoiQ feature provides you with a set of automatically configured blending programs that makes it possible for you to get the best results. So essentially, after configuration it simply mix the ingredients continuously, pulse and pause accordingly depending on the pattern and also stops automatically the moment timer runs out. 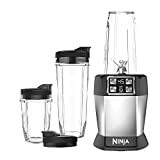 This Ninja professional blender comes along with different sized portable containers made of BPA-free material for drinking smoothies. Moreover, this blender comes with specially engineered stainless steel Pro-Extractor blades which are rust-proof and powerful. This blender can crush seeds, ice and frozen ingredients at the touch of the button hence extracting nutritious smoothies and juices. It also detects the extent of which the ingredients are blended to make it possible for you to get the best drink all the time. Before you start make any decision to buy blenders for crushing ice or frozen ingredients, you should check this 5 aspects that important to the optimize your experiences when blending ice. The motor power is an essential element to consider when buying an ice crusher blender. Most of the blenders available in the market that fall short of this feature apparently lack sufficient punch. It’s no reasonable doubt that an ideal blender for crushing frozen smoothie ingredients has to be powerful. At the same time, it also must be safe to use especially when plugging into the power socket. 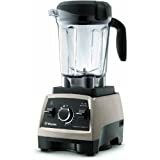 The ideal motor power for this kind of blender needs to range from between 1000 watts to 1500 watts motor. It is enough to push the blender to crush the ice without difficulty. The motors should be powerful enough to drive and crush the ice or frozen ingredient that’s put before them. Technology is also advancing. So it’s even advisable to consider some of the additional features that enhance power utilization and safety in a blending machine for crushing ice. For instance, a cooling feature that would allow the motor to cool down after extensive use is recommendable. Some models come with advanced in-built overheat function, which turns off the blender and allowing the motor to cool down for a couple of minutes before it resumes the task. This does not only prevent the motor from overheating and burning out. It also ensures you stay safe as a user from any imminent electric hitch that would consequently lead to injuries. It also adds value to the blending process since you’ll be able to get first-class smoothies. Blades are arguably among the most important components to consider when looking for ice blender. Many people never bother to understand the role of blades in crushing frozen fruits and food ingredients during blending cold smoothies. First, for adequate performance, just know that the blades must be made of sturdy materials. Blade design also important, they don’t necessarily use sharped blades but they should also be placed at a vantage angle that would easily allow the blender to catch the ice or any frozen food content. Blendtec and Vitamix produce very high-quality blades from stainless metal with technology processed that will never give you any downside when use to crush ice and frozen fruits. Even those two blenders have different design in their blades, but those two blenders are having a very sturdy blades material. For more info you can check this article to compare Blendtec vs Vitamix blades. If you find a blender with blades close to the sides or bottom of the jar, don’t hesitate to buy. In most cases, such blades hardly allow food contents to pass through without chopping them. It makes the works easy and faster. I’m sure that’s type of blender to crush frozen drinks that you would certainly need. We understand the significance wattage in ice blenders. However, it is not utterly the determinant factor of its overall performance. The design of the jar is also essential that will also add to the performance equation. How is this possible? Best blender for crushing ice cubes will always move the frozen ingredients in constant motion while sucking it down via the blades. The contents are the pushed up the sides of the jar and whirl around in a continuous whirlpool. So, the entire process is then often dependent on the shape of the jar. A blender with relatively wide pitcher makes it easy for the blending contents to fall to the blades hence speeding up the process. Narrow jars on the other hand would often require you to push the frozen ingredients down using a spatula, which can be a demanding task. You, therefore, need to make the right choice on the basis of the design of the jar that you are selecting. Importantly, the shape and size of the jar determine the blending speed and the quantity of the content you’ll obtain from the process. Furthermore, the material of the jar is also a significant aspect. It is ideal to go for one that is made of dense polycarbonate material. Alternatively, one made of impact-resistant glass would also be suitable. As long as the durability of the jar material is guaranteed under normal situations, you are good to go. Blenders are machines. Some may be designed in a complex manner that would hinder you or anyone from using it with ease. If you’re using the blender on a daily basis, certainly you want something that does not require so much effort to assemble. In this case, you also don’t need a blender that will take ample of your time to clean. A variety of models out there often come with user manuals. Such manuals are helpful especially for someone who don’t understand how to operate these blending machines. However, you should also go for efficient but straightforward blenders that would not require a lot of technical capabilities to operate. You definitely can’t fail to get one from the many dealers around. Essentially, just make sure that you pick a blender to crush frozen fruit that wouldn’t waste your time and energy in your blending efforts. Apparently, this is always a sensitive element when purchasing anything. The bone of contention when it comes to pricing is whether or not you’ll get value for your money. Ice blenders are often priced according to different features depending on a specific manufacturer. It is always advisable to check out with varying dealers before you settle for purchasing from the specific one. Some dealers often offer these units at discounted rates from time to time, which can help you to save a little bucks. It’s possible that you now understand the significant difference between blending ordinary ingredients and frozen ingredients. Blending ice needs a high-quality, more powerful and efficient blender for best results. It is thus imperative to ensure that you make the right choice that would make a great addition to your kitchen.